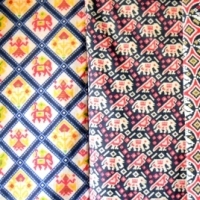 Jamdani is one of the finest muslin textiles of Bengal, produced in Dhaka District, Bangladesh for centuries. 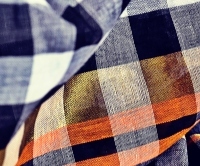 Jamdani originally known as 'Dhakai' named after the city of Dhaka, is called by varies names such as popularly known as "Dhakai Jamdani" or simply "Dhakai". 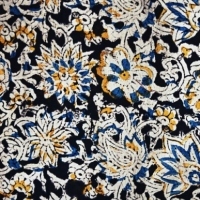 The word ‘jamdani’ is believed to be of Persian origin, 'Jam', meaning flower and 'Dani' meaning vase or a container, named after decorative floral patterns which discovered from Dhakai textile. 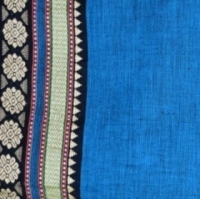 This unique hand technique of weaving was called jamdani in the old days, while the weave was called Dhakai, these sarees are traditionally woven around on the brocade loom. These beautiful intricate weaves are available in mediums such as cotton and silk. One of the most expensive product of Dhaka looms, Jamdani requires the most dedicated and passionate weaver and during olden days only royal families were able to afford such luxuries. During olden days these sarees were much in demand and loved by aristocratic and royal families. The traditional double ikat Patola which originates from Patan, small little town which is north of Ahmedabad in Gujarat state. 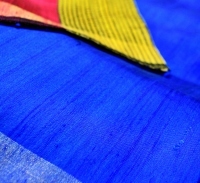 Creating designs by tyeing knots on warp and weft, it takes around three to four months to prepare tie and dyed on warp and weft threads for one saree. Patola saree art was much of labour-intensive, with the combined effort of four weavers, it would take anywere around a six months to a year to weave a masterpiece saree from the scratch, its perseverance in doing it from the time of process of dying that is the reason it was too expensive, and was worn only by the royal and upperclass, who were able to pay for opulence. 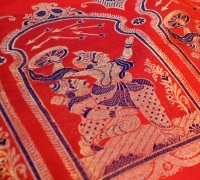 The attention of technique of weaving these colorful sarees was only taught to son to carry forward. Patola sarees are not just sarees they are top handcrafted ones with excellence. Behind the masterpieces the community who is involved in weaving these sarees are Hindu Salvi caste. 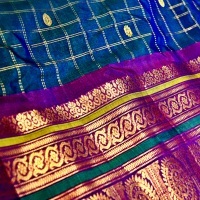 It is said that locally the Patola silk saree would be given as a gift to the bride at her ceremony. Owning to its distinct colors, designs and the richness of the fabric. Kanchipuram is also known as Kanchi/Kachiped/Kancheepuram. Kanchipuram is a district in the northeast of the state of Tamil Nadu in India. Kanchipuram nickname is called as "The City of Thousand Temples' and served as the capital city of the Pallava Kingdom. 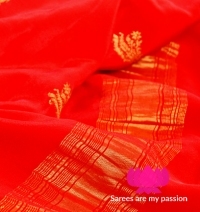 The south Indian women are not complete without a lustrous Kanchipuram saree. With bright contrasting borders. 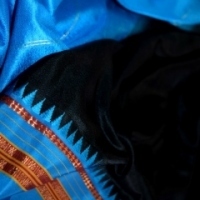 During occasions such as Diwali (or Deepavali), Pongal, weddings and festivals, only Upper-caste families used to purchase of many silk saris. Current trends on Kanchipuram sarees, silver is being used in addition to gold. The famous 'Kamakshi Amman Temple' is a must if you are visiting Kanchipuram place the deity here is Parvati. 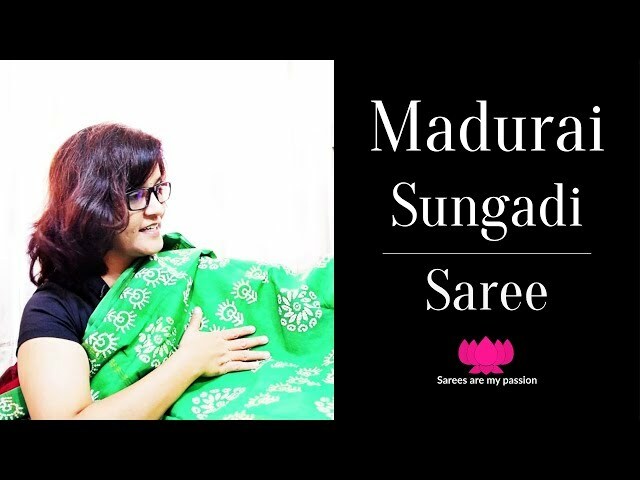 Apart from magnificent Kanchipuram silk sarees and Kanchi Cotton Sarees, I had no idea what are all the varies types of sarees which are from Tamil Nadu to be frank, although I am a huge enthusiast of Handwoven traditional sarees. High tea or any festive occasion, not always one prefer's a saree which are too bright and jazzy, many times I appreciate simple plain weaves, one such elegant weave is Dupion! It has its own corporate rustic look what more one just want to express? Dupion is also called by Douppioni or Dupioni. One of the oldest city in India is Varanasi(Banaras), this city is located on the banks of the Ganges in the Uttar Pradesh state and it is one of the Major centers of manufacturing these Dupion silks. On the banks of holy river Ganga in Varanasi District, Uttar Pradesh state of North India, a spiritual city called Varanasi, this city is also called by the name Kashi, Benares and Banaras. Its a major religious hub, Hindus believe that death in the city will bring salvation, making it a major centre for pilgrimage. Kashi Vishwanath Temple which is dedicated to Lord Shiva is Among the twelve Jyotirlingas. On the banks of charming 'Vaigai river' the beautiful Madurai city is localled, the district, in Tamil Nadu state, India, this place is referred and called by various names 'Madurai', 'Koodal', 'Malligai Maanagar', 'Naanmadakoodal' and 'Thirualavai'. During 16th century due to economic crisis weavers from 'Saurashtra' and 'Gujarat' migrated to Tamil Nadu, Kerala, Andhra Pradesh and neighbouring states and some of them settled down in inviting 'Madurai'. 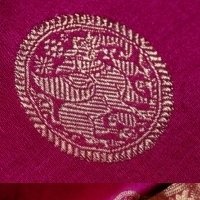 These 'Saurashtrians' are highly skilled manufacturers of beautifully crafted fine silk garments and were patronized by Kings and their families, they were called by 'Patnulkarans' the Tamil name by which these people is well known in southern India. Land of vibrant colors, handcrafted tiles, majestic architectural mansions, being a food and saree lover nothing is less while I walk you through the journey of ultimate heaven of sarees and foods! Karaikudi is known as the capital of Chettinad, Chettinad in southern Tamil Nadu is a region of the Sivaganga district that is known for weaving the Chettinad sarees. 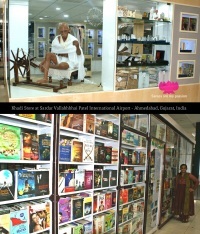 The people here are very friendly and invite people with a warm smile, the language of communication here is Tamil. Chettinad is the home of the Nattukottai Chettiars(Nagarathar), this community faithfully follow traditions. The major communities involved in weaving Chettinad cotton sarees are Devanga Chettiyars, who are the skilled weavers from ancient days. 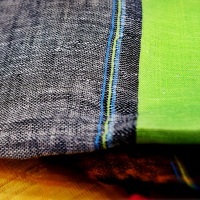 Remote corner in the state of south India is famous for its traditional handloom attire called Ilkal silk sarees and Ilkal cotton sarees, named after after the town Ilkal, in Bagalkot district of Karnataka state, these traditional handwoven sarees are GI protected craft of India. 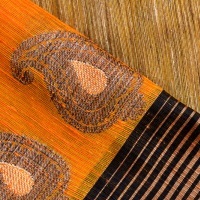 Ilkal is famous for red granite stone and traditional Ilkal sarees. Localites out here are very friendly and they speak Kannada(regional language of the state), one of the main source income of this place is weaving these handwoven evergreen classic sarees. 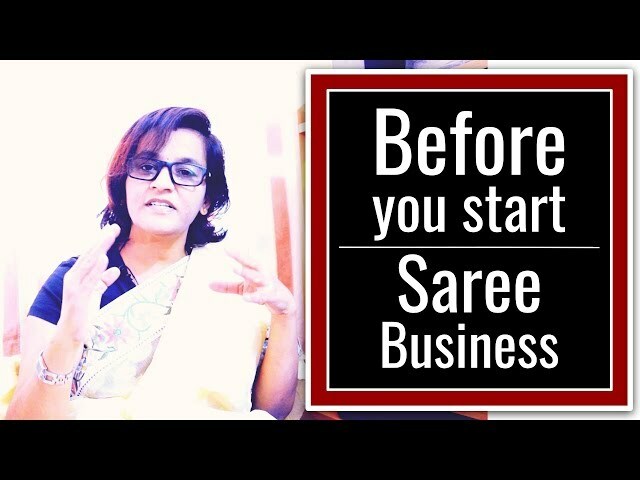 If one happens to peep around in this place, almost all house are engaged in weaving these sarees, their is no discrimination done, both men and woven are engaged in weaving to make their livelihood. Major centres of weaving is from villages of Ilkal, Kolhar, Kamatgi and Nidagundi at the Bijapur district and many of them have their own loom at home. It is called as City of Palaces, the cultural capital of Karnataka, heritage palaces, magnificent buildings, art galleries, and monuments. Mysore has lent its name from renowned dishes like Mysore Masala Dosa which leaves me craving for melting dessert called Mysore Pak(sweet-dessert). Mysore, the original name of this city was 'Mahishapura' which is derived from the demon named Mahishasura. Mysore officially renamed as Mysuru is one of the districts in Karnataka state. Chanderi town is a highly renowned for its rich heritage, surrounded by hills southwest of the Betwa River in Ashoknagar district, Madhya Pradesh state, India Well known for the handwoven traditional sarees, these are mostly popular for the elite class and favorable choice of Queens in India as they are a bit expensive and one can see major center of Jain culture. 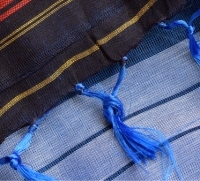 Artisan community involved in the production of "Chanderi silk", a diverse mix of various communities namely Kohlis and the Muslim Julaha community. Traditional weaving culture was available during 13th century, Initially, the weavers were Muslims, later in 1350 the Koshti weavers from Jhansi migrated to Chanderi and settled here, during the Mughal period, Chanderi fabric business been recognize and started booming. 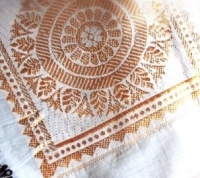 The production of Chanderi has been protected by India as a Geographic Indication (GI). Official Languages of Chanderi is Hindi and Bundelkhandi. The main occupation of the people of Chanderi is handicraft. A hint of tradition, one of the classy handloom saree from Odisha state called Bomkai sarees, these sarees are also called by Sonepuri sarees, produced in the village of Bomkai in Ganjam district, India. 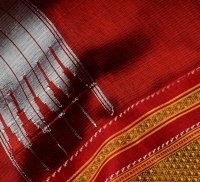 Bomkai sarees is named after the village Bomkai. The community who is involved in weaving these handloom sarees are 'Bhulia' community of Subarnapur district. 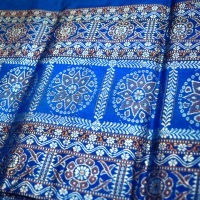 GI tag is been provided for 'Bomkai Saree & Fabrics'. People here are very friendly, medium of communication here is Odia. Savannah, I'm coming home Savannah, by Philly K what a way to start this monsoon breeze and being cozy yet inspired! Kotpad weaves from Koraput district of Orissa, its a small village in Orissa, the fabrics of Kotpad are absolutely unique, breathable due to natural fibre, its glad to say Kotpad Handloom fabrics was first to receive GI(Geographical Indication) tag from Odisha and Kotpad adivasi tribes are still preserving the core aesthetics, making Orissa honored. 64 squares in a saree game? Inspired by Game of Thrones this season, what a way to start, chuckles! 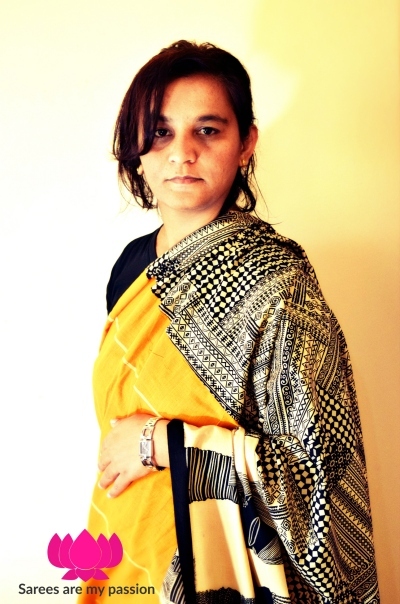 Their black and white squares that resembles a chess board, oh yeah I am talking about Pasapali handloom sarees, from Bargarh district of Odisha, the name Pasapali is derived from pasa or gambling games using chess board, these gorgeous sarees have intricate checks patterns of contrast colors resembling the chess boards which gives it such name and traditional square design. Its a feast for any saree connoisseur to have one. 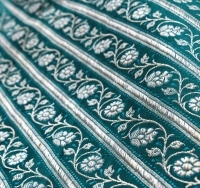 Masterpieces sarees are woven in the regions of Barpali, Sonepur and Baunshri. The word 'Pasapalli' is derived from the word 'Pasa' which means board game with four clear parts much like Ludo, Chess or even Pachisi is a ancient Indian board game, the name denotes the main theme of the Pasapali sarees. The oldest and largest city in Odisha is Sambalpur, it lies on the bank of Mahanadi river. Sambalpuri sarees are woven on a handloom, these sarees have awarded Geographical Indications(GI) tag as 'Sambalpuri Bandha Saree & Fabrics'. The official language of this place is sambalpuri, the localites of this place is called as Sambalpuriya. Sambalpuri sarees are produced in the Sonepur, Bargarh, Sambalpur, Balangir district, Boudh District of Odisha. The hands behind these traditional masterpieces sarees are Bhulia weaving community and to weave one Sambalpuri saree it may take around three days to a fortnight. Kasaragod district is a small town situated in Malabar Region of Kerala–God's Own Country, India. The name Kasaragod is derived from the word 'Kusirakood' meaning Nuxvomica forests(Kanjirakuttom), this green land is surrounded by north east Karnataka, Arabian sea and south Kannur and more beautified by land of temples, mosques and churches. The Official Language of this place is 'Malayalam' and they are well known by 'Tulu' and 'Konkani' as well. Kasaragod experiences a Tropical monsoon climate. Located on the banks of mighty river Brahmaputra, from few years back Sualkuchi Handloom industry is center for weaving and labor intensive industry for weaving and encompasses cotton textile, silk textile and Khadi fabrics as well and known as the Manchester of the East, Kamrup district of Assam. Sualkuchi is heavenly kingdom for weaving and the looms are found in almost very home in the villages of Assam and depending on the design, patterns and complexity it would take around six or more days to weave one beautiful masterpiece saree. 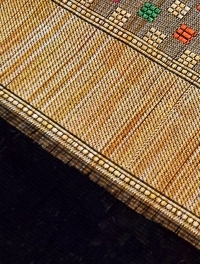 The economy of this place is mainly dependent of handlooms, not only Tanti community of Tantipara are weaving this craft but also other communities like Garo community of Assam, fishermen and Brahmin communities also are engaged in weaving, the official languages are Assamese, Bodo and Bengali and renowned for Assam tea and Assam silk. I always fall in love with natural fibre products one among them is Jute, it is one of the most affordable natural fibres and also called as golden fibre. Jute is one of the versatile fibres, that has been used in raw materials for construction, packaging, textiles, non-textile and extensively used for sacking for agriculture goods. Here is a list of top countries who are producing Jute are India, Bangladesh, Myanmar, Nepal, Vietnam, Thailand, Uzbekistan, Brazil and People's Republic of China. 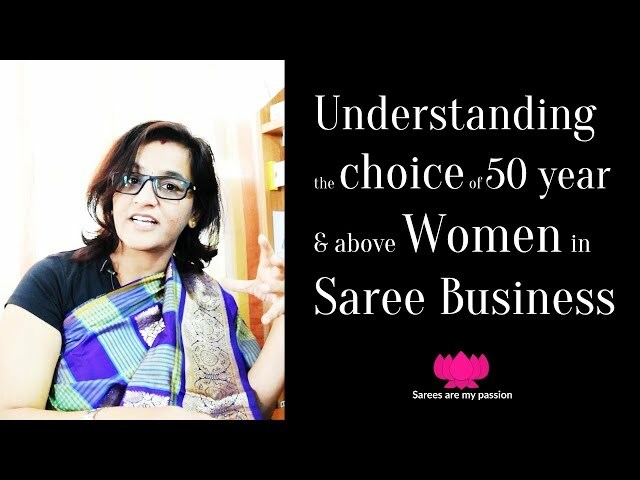 There is a great demand for these sarees across the globe and these exquisite sarees are hand-crafted and there might be slight irregularities in weaving which enhances the fabric uniqueness and appeal. Khadi is also known as khaddar, it is Handwoven natural fiber cloth, this cloth is usually woven from cotton and may also include wool, silk, which are all spun into yarn on a spinning wheel called charkha. This fine spun khadi is known for softness, when one starts to wear this saree definitely will be hooked on this fabric, no matter its summer or spring, Khadi is not only used as fashion statement these days but are often seen as markers of particular communities, groups and towns. It’s all about comfort and drape end of the day all want isn't that right? So here you go, linens and cottons are my most loved fabrics, it drapes magically graceful and yes red carpet statement attire for this season are stunning linens, don't be surprised when celebrities pop-up for special events and promotions with gorgeous linen sarees, its a spotlight attention seeking ones and these fabrics blends well with silk, cotton or even khadi and not a age factor to classify them as which age group it suits, it is one of the versatile fabric that can be appreciated by all.